The Serious Fraud Office (SFO) has charged Barclays Bank PLC with "unlawful financial assistance" related to billions of pounds raised from Qatar in 2008. The same charges were bought against Barclays PLC in June last year. The move to charge Barclays Bank as well is significant because it holds the banking licence that allows it to operate in different countries. So, if Barclays was found guilty, it could lose that crucial licence. Under that deal Barclays loaned £2.3bn back to Qatar Holdings. The SFO alleges that loan was used either directly, or indirectly, to buy shares in Barclays, which the SFO says is "unlawful financial assistance". In response, Barclays said: "Barclays PLC and Barclays Bank PLC intend to defend the respective charges brought against them. "Barclays does not expect there to be an impact on its ability to serve its customers and clients as a consequence of the charge having been brought." Other than the charge, the SFO has released very little information about its investigation. But a top lawyer said the case is likely to revolve around whether the directors knew what the loan was being used for. "The SFO may have to establish the precise intention of the directors when making the loan which is the subject of the investigation and it might be difficult to prove to a criminal standard that they had an unlawful intention," said Philip Marshall QC at Serle Court Chambers. How significant is the charge against Barclays Bank? It was always odd the SFO charged the parent company Barclays PLC and not Barclays Bank as it was the bank that lent $3 billion to Qatar which it's alleged was used to buy shares in Barclays. At the time it was interpreted by some as sparing a strategically important bank for the UK from the harm of potentially losing the ability to operate in important markets (like the US) - a possible consequence if convicted. So today's decision to charge the bank itself is significant. 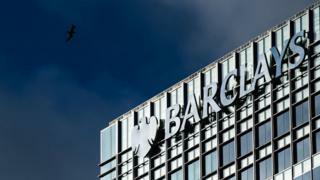 Former chief executive John Varley, former senior investment banker Roger Jenkins, Thomas Kalaris, a former chief executive of Barclays' wealth division, and Richard Boath, the ex-European head of financial institutions, were all charged in relation to that investigation. The bank and its former bosses will face trial in 2019. Barclays is the first British bank to face a criminal trial related to its conduct during the financial crisis.